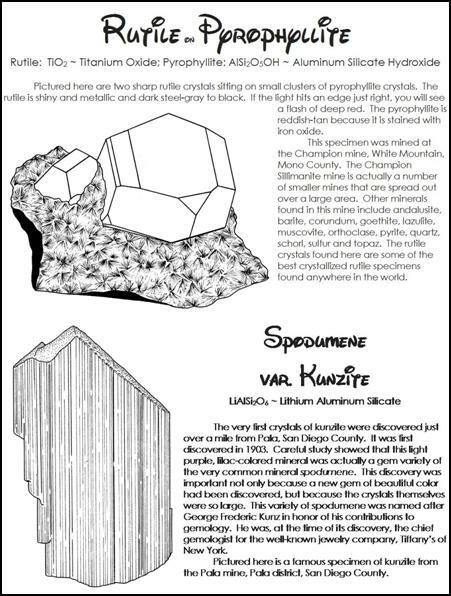 Welcome to the wonderful world of the beautiful, fascinating and very useful minerals found in the great state of California. California produces some of the most common minerals that we use nearly every day. 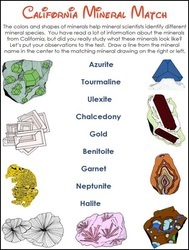 It is also the source of some of the most spectacular mineral specimens every found anywhere in the world. As you read through this book you will learn about some of the more important and more interesting minerals that can be found in California. 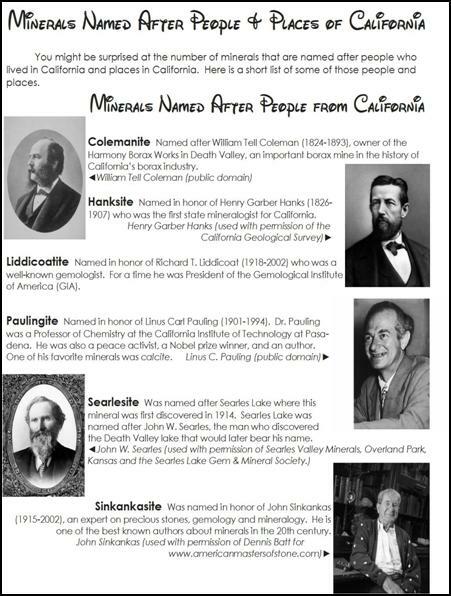 There is also a lot of interesting information about the colorful history related to California’s minerals. 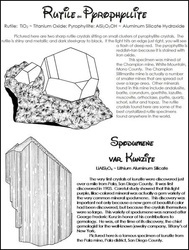 When most people think of California’s minerals, the first one they think of is GOLD! Of course the great California Gold Rush was one of the most important and colorful experiences in American history. 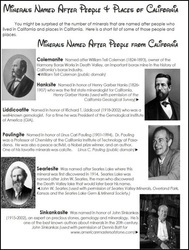 The discovery of the Death Valley borax deposits and the use of 20 Mule Teams to move the raw borax out of Death Valley is yet another great chapter in California’s mineral history. 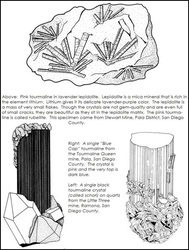 California is also the source of world-class tourmaline crystals, gemmy topaz, and beautiful benitoite (a unique mineral that is found only in California!). 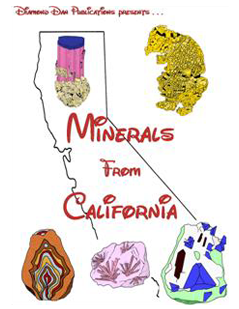 Continue in this book and discover the fascinating world of minerals from California.